and why it is important to use the correct one when baking in the kitchen. Baking is considered an exact science. 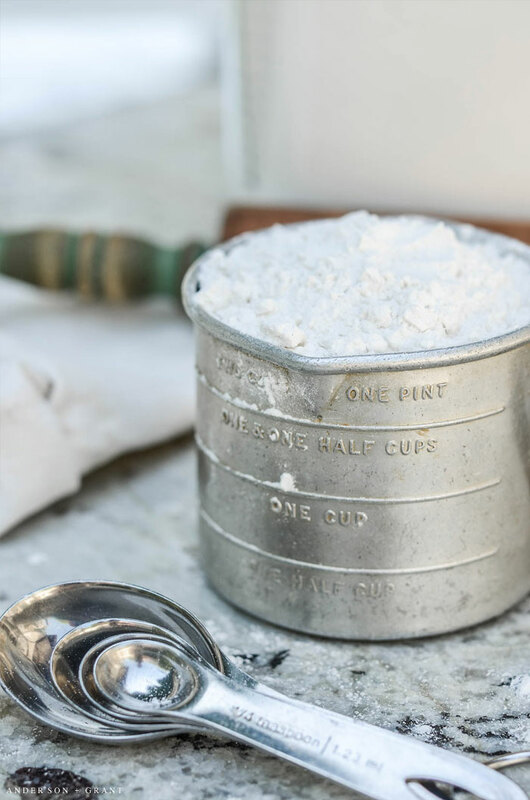 As often as you'll hear that old recipes call for a pinch of this and a dash of that, most of the measurements that go into what you're baking need to be accurate. 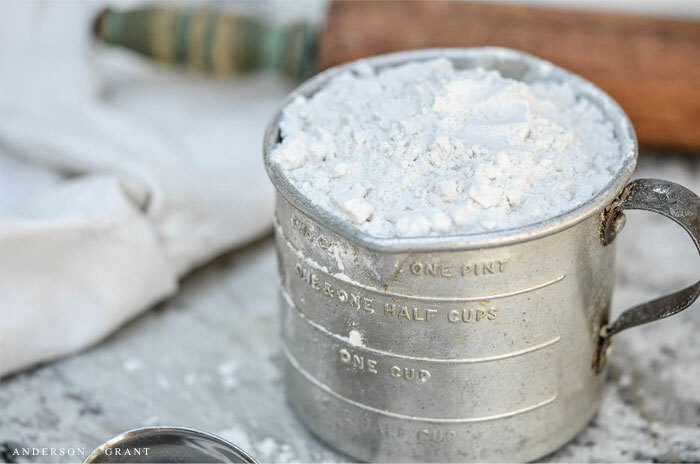 Being even a little off in ingredients like flour or baking soda can dramatically alter the texture and taste of a recipe. It can mean the difference between a successful cake and one that doesn't rise. Thinking back, there is not a lot I remember learning in my high school home economics class. Aside from sewing a patchwork pillow and mixing up a batch of pretzels, the only thing that has stuck with me is that there are two types of measuring cups....one for liquids and one for dry measurements. So what is the difference and does it really matter which you use when whipping up your favorite cookies? 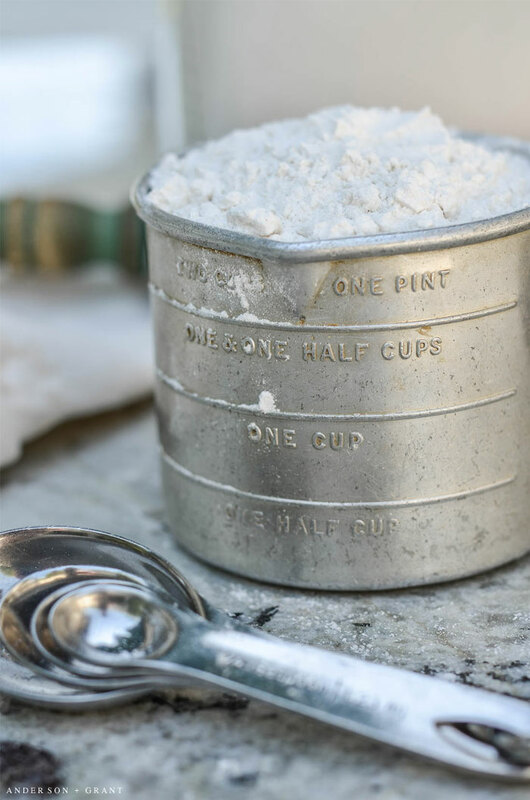 Dry measuring cups (or measuring spoons) are constructed so that ingredients can overfill the cup just a bit and then be leveled off using a straight edge like a knife or offset spatula. Ingredients that can be measured in these cups include flour, sugar, cornmeal, nuts, rice, cheese, and peanut butter. Using a dry measuring cup to measure liquids results in the liquid either spilling over the edges or not quite reaching the top. Neither of which is accurate. Dry measuring cups normally come in a set of four sizes - one, one-half, one-third, and one-fourth. They are most often made of metal, but can come in plastic or ceramic. When measuring ingredients like flour and confectioner's sugar, you should use the "scoop and fill" method. This means that rather than dipping your measuring cup directly into the ingredient, you fill the cup with a spoon before leveling off. Flour and confectioner's sugar will compress when pushing the measuring cup down into them and you'll end up with more flour than you should. Sugar and brown sugar, on the other hand, can be measured directly from the canister into the measuring cup. Actually, recipes using brown sugar most often call for it to be packed. You should dip the cup into the brown sugar and press it down to fill. When dumped into a bowl, brown sugar should be packed so well that it holds its shape. Liquid measuring cups are meant to measure anything that will "level itself off", such as water, juice, vinegar, oil, and molasses. 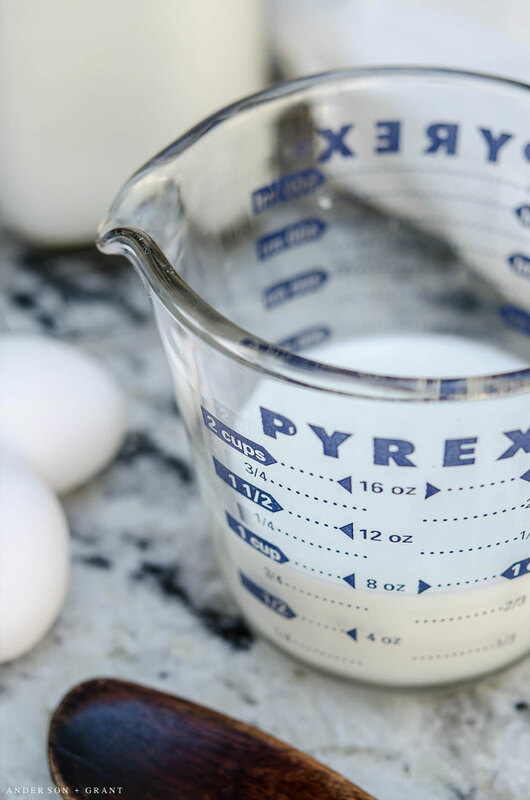 Since you are unable to level off the ingredients, measuring a dry ingredient in a wet measuring cup will result in an inaccurate measurement. They are normally made of clear glass or plastic and have a handle on one side and pouring spout on the other. The measurements are printed onto the cup showing both cup measurements and ounces. A cup that holds two cups of volume is most common, although you can get them as large as a four cup volume. Liquids should be poured directly into the measuring cup while it is sitting on a flat, level surface. Bend down so that you can see the cup markings at eye level to ensure that the level of liquid matches up to the line of measurement. If you look down into the cup, you'll likely get too much. Look up and you'll get too little. Also, don't hold it up to your face because that could give you an inaccurate reading. Knowing the basics of baking will help to set yourself up for success in the kitchen. 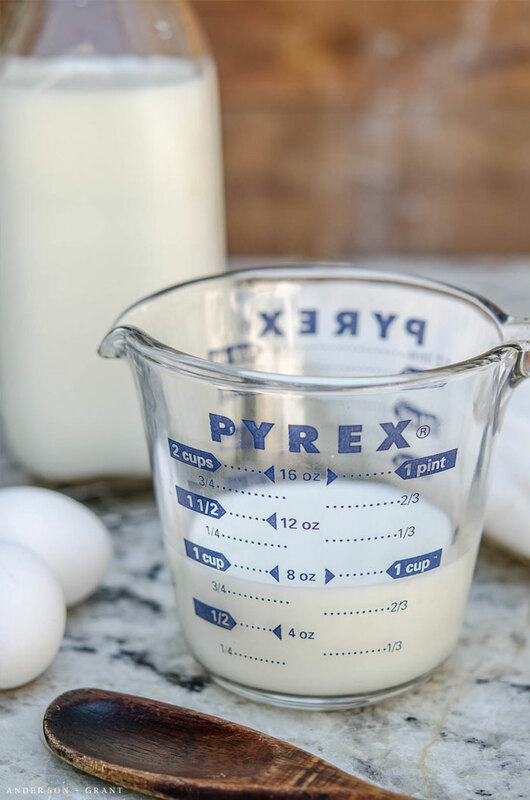 By simply reaching for the correct measuring cup, you'll increase your chances of pulling a perfect cake out of the oven.